So, you’re looking for a premium in-home caregiver in Sun City? How on earth do you go about it? Here are a few simple steps to follow. When you’re looking for a premium in-home caregiver, you want the best. Do you need a caregiver for a senior in your life? Or are yourself a senior who recognizes you need a bit of help? The process may feel overwhelming. This is especially true when you are a child trying to find care for an aging parent and unsure where to turn. The responsibility for picking a good caregiver is on your shoulders. At the same time, you must also make sure that your parent doesn’t feel shunted aside or abandoned. That means finding a caregiver who not only knows their trade inside and out but has a great bedside manner. When your elderly left one feels as though the caregiver is a friend than a burden, they will be much happier. Unfortunately, with the explosion of the elderly population has come an explosion of caregiving companies as well. Not all those companies are honorable or provide good service. Elder abuse sadly does happen. It is critical to ensure your homebound loved-one never experiences anything so unfortunate. What Type of In-Home Care Do You Need? On the other hand, perhaps you just have a job and too much to take care of on your own. Many children of aging parents still have their own children. The “boomerang generation” feels the pinch from both sides. That makes it very hard to provide adequate caregiving services for aging parents. In-home help can make all the difference in the world. Whatever the case, you must also decide between full-time health and part-time help. If the senior simply needs help preparing food and keeping the house clean, a few hours a day might be enough. On the other hand, if they are recovering from surgery or have lost much of their mobility, they may need help 24 hours a day. Working with a flexible company is crucial so you can meet your individual needs. Additionally, transportation is an issue to consider. Even healthy seniors who have not undergone surgery or other traumas often lose their ability to drive over time. Perhaps their eyesight worsens, or their reflexes go downhill. Maybe they just don’t feel safe on the road anymore, or you don’t feel safe about the idea of them driving. In-home care services can make a huge difference here as well. With transportation at hand, the senior can get safely from place to place. They can go to the grocery store, spend time with friends, get to appointments and do other errands. This reduces social isolation and makes life much more enjoyable. That lengthens life and keeps your loved one around longer. 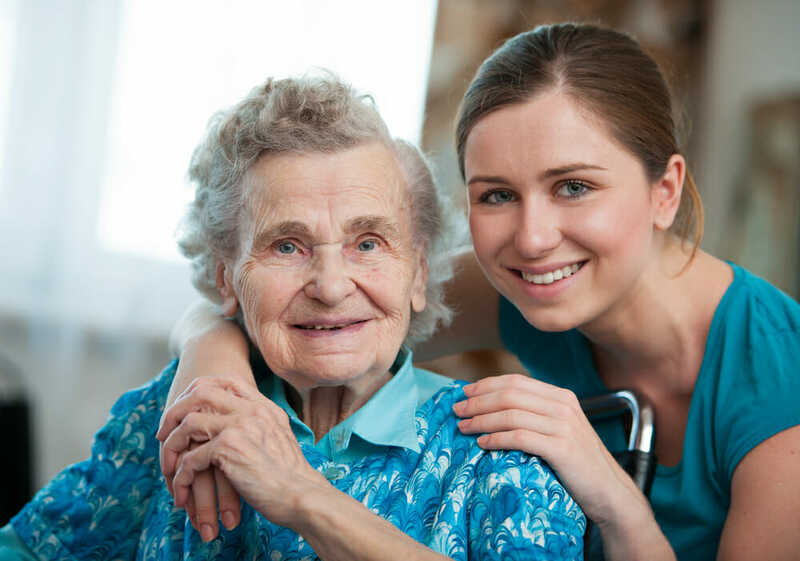 Ideally, you will use the same company for transportation and in-home care. If you’re looking for both, make sure to find a company that offers them under one roof. Do You Need to Customize Care in Other Ways? You may have other considerations as well when it comes in-home care. For instance, what if your loved one has Alzheimer’s disease? It’s especially important to have a caregiver there at sundown. Seniors with dementia often get confused at nighttime. Their body clocks are out of whack, and they often feel a greater sense of isolation. They become even more disoriented than usual and may leave the house. This is a bad time to leave them alone, which is where care comes in. Other specific services include physical limits, emotional issues, or mental disorders. You have to consider factors unique to your loved one. What Should You Ask Caregivers When Doing Research? Before you hire any in-home care professional, it’s important to do your due diligence. No doubt you wouldn’t feel safe without first getting to know the caregiver and care company. That’s only right. What is your expertise in the Arizona area? What kind of training do you require for your caregivers? How will you help ensure that my love fun remains as independent as possible? What makes you stand out from other in-home care companies? Will my senior receive continuity of care, care from the same professional(s) on a regular basis? If they need round the clock care, how will you decide how to allocate their care? Do you keep a doctor on staff? How do you communicate with a doctor in an emergency, and how should we interact with that doctor? What is the process when all stakeholders need to discuss care? What kind of financial options do you offer? How can you help us navigate the healthcare system? Do you assist with legal needs, and if so how? What do you do to ensure a smooth adjustment period for everyone? In the end, the best caregiving company for you is going to be one that provides a familiar routine for you and the senior in question. Routine is key to a happy, healthy life, and that is true with seniors as much as it is with working adults or children. The closer you can stay to that routine, the better. Your final choice of caregiving company should understand that intuitively and reflect it to you without you having to ask. Good news: Celestial Care is just such a premium in-home caregiver. If you would like to learn more about us and how we do business today, we invite you to get in touch right away. We put the highest priority on making sure you have peace of mind and that your loved one always feels cared for and safe. It’s why we’re in this field, so let us help you toward a better life today.